What does he do in People Performance? Isaac is responsible for the organisation’s growth and success. As the CEO his role is to ensure employee’s well-being, customer satisfaction, profitability and business continuity. Apart from being responsible for the organisation, he facilitates strategic planning session for senior leadership team, does executive coaching and is involved in the design and delivery of selected workshops/ programmes. Who is Isaac when he is not working? Isaac is married to the perfect woman (at least that if what she tells me ;)) and has a beautiful and sporty daughter. An introvert, he plays a full-time role as a husband and father. People who know him describes him as authentic, positive, fun-loving, pragmatic and down to earth. He takes his roles seriously, not himself. He believes one’s ability to laugh at their mistakes and silliness as a sense of self-assuredness. Growing up years have been occupied with competitive sports from swimming, tennis, squash, rugby and half-marathons. In sports, his focus in on mastery of skills and not merely winning. He finds the ‘inner game’ is the most important skill to master in life. Apart from sports, his interest is in understanding people; what drives them, what derails them and what makes them unique. Perhaps this is one reason he sees his current role as a calling instead of a job. He is a curious individual who enjoys knowing ‘how things work’. He has participated as a Singtel’s F1 volunteer to understand how big events are organized, dismantle computers/ equipment to see how everything fits, speak to people of different background to understand what makes them ‘tick’ and many others. What is Isaac’s professional journey? Prior to consulting and training, he took the path less travelled by working in different industry. Graduated with an engineering degree from Malaysia’s top engineering university; UTM, he began his career with Panasonic AVC, Singapore where he worked as a process & production engineer and later on as an R&D engineer. Later he took on the challenge by his church leaders to pioneer a charity organisation focusing on children and the less fortunate. He was appointed as the center manager and worked closely with government agencies and other charity organisation to serve the community. During his tenure, he recruited, trained and managed volunteers, produced community programmes and obtained funding from government agencies and the public. This experience heightened his understanding of people and what drives them. He then moved into the fast moving consumer goods (FMCG) industry where he started his own company distributing organic and healthy lifestyle products. He supplied to NTUC fairprice, Cold Storage and learning organic shops. During this time, he experienced the speed of business, learn the art of sales and how to manage challenging stakeholders and business strategies. Like most first time entrepreneur, the business was not sustainable and he moved on. As he matures (experience wise), he felt the need to do what he is passionate about and joined the training industry. 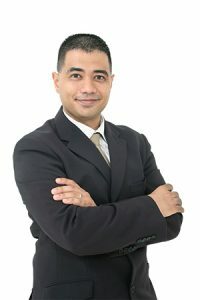 He joined the biggest and most exciting teambuilding company in Singapore as a facilitator. This is where he learnt and hone his skills as an engaging facilitator using experiential and purposeful questioning technique. He was also appointed as the country manager for Malaysia where he was responsible for their P&L. With the new skill set and having completed his nationally accredited trainer’s certification (Advanced Certificate in Training & Assessment), he joined a boutique management consulting firm. 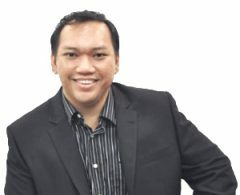 He had the opportunity to work with top companies such as Changi Airport Group, Certis Cisco, Roche, and AVIVA on consulting projects focusing on customer experience. While working, he completed his MBA. In 2012, with his conviction and blessing from his family, he ventured on his own starting People Performance in Singapore and Malaysia. Since then he has worked on change management projects, leadership development projects, team development projects, strategic planning sessions and many others. Monique Yong (or Monique) is a senior consultant/ facilitator with People Performance. Monique Yong has held multiple leadership positions across a wide range of industries throughout her 18-year career in the HR and Talent Development fields. 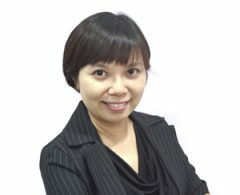 She is certified trainer with more than 10 years experience in Human Capital functions in the APAC region. organizational strategies by identifying gaps and contributing to strategic direction in establishing HR objectives in line with the organizational objectives. She also drives the Talent Acquisition and Talent Development initiatives for the region. Before heading to Singapore, she was the Group HR Head at a Malaysian Government Linked Company to oversee the HR functions of one of their portfolio companies in South East Asia. She is responsible for conceptualizing management strategies for diverse organizational triggers, such as restructuring and organizational design, business transformation, systems implementations, and implementation support for programs that address team collaboration and employee engagement for the current and future growth of the organization. What does she do in People Performance? Felicia provides administrative support when managing our clients. Who is Felicia when she is not working? Felicia ia a supermom at home. She is the cook (although not a fantastic cook) for the family; she is the cleaner; she is the personal hairstylist for her daughter; she is the grooming consultant for her daughter and husband; she is her daughter’s personal story teller, art teacher and play mate. And not forgetting Felicia is an enthusiastic yoga practitioner who calms her mind and soul through yoga practices. She believes learning is a continuing process without a full stop. She loves challenges and is always in ready mode to accept any opportunities that she could expand her learning curve. What is Felicia’s professional journey? Felicia started her career in the insurance industry upon graduating with a Bachelor degree in business and commerce from Monash University Malaysia. She managed the telemarketing campaigns in the insurance industry and this is where she started to brush up her communication and negotiation skills. Later on, she moved on to healthcare industry with her insurance background and was given the opportunity to lead a team of 12. She learned in a hard way to lead and motivate a senior team, to manage a unit by writing up SOPs and workflows, learn the filing system and most importantly the best way to communicate with all levels of people ranging from bosses, subordinates, specialist doctors, patients, patients’ family members and insurance agents. After marriage and gave birth to a beautiful baby girl, she made the tough decision of giving home a priority. She believes spending more time with her child at such a young age is a critical investment. As her daughter grew, she felt the need to get back into the workforce and this is where she chanced upon People Performance. Yandaro Al Amien Bachtiar graduated from Upper Iowa University,USA where he received a Bachelor of Science in Management Information System and Psychology. While there, he was involved in various observational based activities and also worked part-time in many sales related jobs. Being the first born of the family, he was groomed from an early age to take over the family business. However, as a result of certain financial difficulties, he was forced to take up Stock broking and was employed in a top notch firm. In no time at all, he stood out from his peers by closing what was to be known as one of the firm’s biggest deals. Whilst getting his feet wet on planet earth, Yandaro has tried his hands on property management, the entertainment industry and education sector as well as the automotive industry, hospitality and a few others. As a result of his deep passion and belief in the human potential, Yandaro has trained thousands of people from all walks of life; adding value to what was little and strengthening what was weak. He co – founded 2 amazing brand – GLOBALKNOX and Kickstart.my, and after amassing a rich, 10 year experience in training development and entrepreneurship. He has and regularly conducts training for multinational corporations like IBM, Dell, Phillips, Samsung, Hewlett Packard, Rockwell Automation and a lot others. Yandaro is a certified sales professional, trainer, facilitator and coach. He has been featured in TV programs and has written numerous articles in regards to people development.